resolution 72/729 of 1 June 2018, which gave the Secretary-General the mandate to implement the UN repositioning agenda by reinvigorating the resident coordinator system. While the resident coordinator system has been instrumental in driving coherence on the ground over the past four decades, it is now high time to give it a new impetus to ensure the UN is well positioned to provide high quality and relevant technical support to countries to deliver the 2030 Agenda. To attain the desired goal, the resident coordinator offices will need to be adequately staffed to ensure it has sufficient substantive capacities to lead United Nations country teams. The Economist position is part of this new generation of resident coordinator office, with the new skillset and competencies required to deliver on the 2030 Agenda. 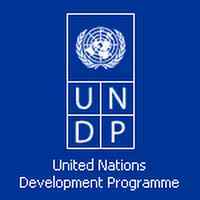 Plans and directs the work of the in-country UN SDG Task Force and Focal Points meeting and drives cross-pillar nexus approaches in country to policy, analysis and assessment. Master’s degree or equivalent degree in economics, sustainable development, public policy, business or public administration, social sciences, education or related area. A first-level university degree in combination with two additional years of qualifying experience may be accepted in lieu of the advanced university degree. Experience in a multicultural environment is an added advantage.